Elmont, New York, USA. April 5, 2016. 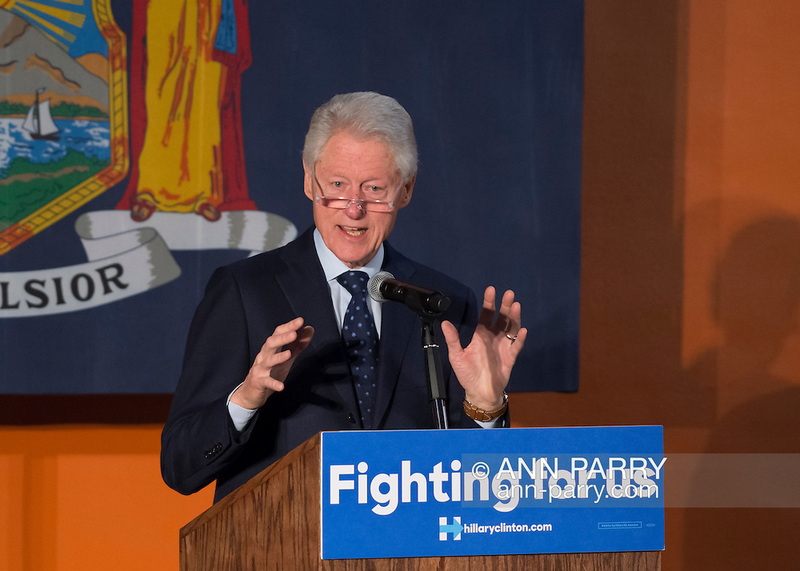 Former President Bill Clinton, wearing reading glasses, is the headline speaker as he campaigns at an Organizing Event rally in Elmont, Long Island, on behalf of his wife, Hillary Clinton, the leading Democratic presidential candidate, and former Secretary of State and U.S. Senator for New York. The New York Democratic Primary takes place April 19th.